Last Halloween, we talked about the Mexican tradition, Day of the Dead. This year we will look at the Celtic origin of the holiday and how this pagan tradition honoured the dead. The Pagan festival of Samhain took place between October 31 and November 1, and landed between the autumnal equinox and the winter solstice. The costume aspect stems from Samhain, where people would put on disguises and visit neighbours asking for food. Where the honouring the dead aspect comes in is in the form of a feast. Pagans believed that the souls of dead relatives would return to their homes for food and shelter during Samhain, so they would leave empty chairs and a table setting for them. While today’s Halloween has all but lost the honouring dead relatives aspect, the costumes and community sharing continues. The November 1 Holiday of All Saints Day (aka All Hallows Day) merged with Samhain to create our modern Halloween. All Saints Day is fallowed by All Souls Day. These three two days, combined with All Hallows’ Eve, represented the Western churches belief that there is a strong connections between the living and the dead. While for many of us, Halloween is about Trick-or-Treating, wearing costumes, attending parties, and carving pumpkins, many did and still do treat it as the first day of a three-day Christian holiday. The tradition of lighting candles at the graves of deceased relatives continues for some devout observers. Some worshipers even abstain from eating meat on All Hallows’ Eve. 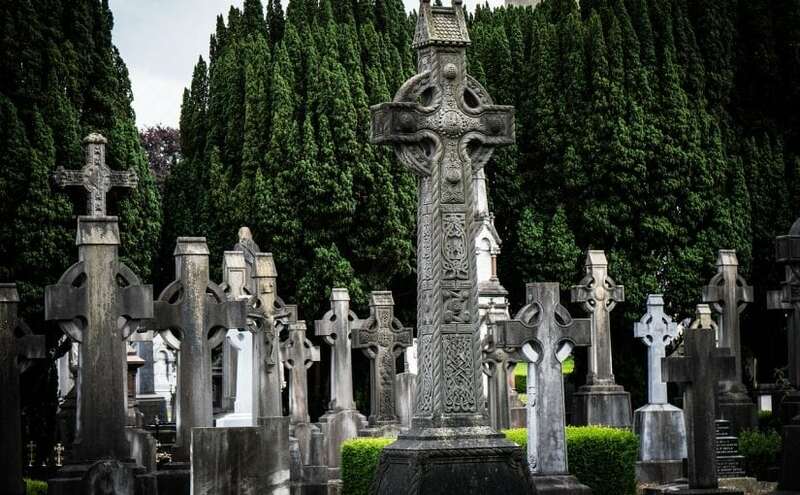 While tonight was probably more about candy, costumes and jack-o-lanterns, we can learn something from the Irish Celts and early Christians, and think about our loved ones who have passed. If you’re thinking about celebrating the life of a loved one who has passed, or have been thinking about how you yourself would like to be honoured upon your death, talk to the kind and compassionate staff at Chapel Ridge Funeral Home and Cremation Centre in Markham. You don’t have to wait until Halloween to honour your loved ones. Contact us today. Next Next post: What is a Death Cafe?